Veterans Day provides such an excellent opportunity to discuss our United States constitution and the freedoms our children might take for granted, while honoring those who have fought and lost their lives to protect them. The first Veterans Day (actually at the time called Armistice Day) was commemorated in 1919 on the one year anniversary of the end of World War 1, though it did not become a legal holiday until 1938. 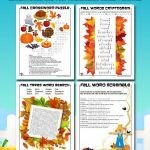 Below you will find some word puzzles and coloring pages for Veterans Day. 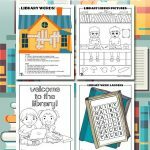 These can be used in the classroom or at home (or at home in the classroom if you’re a homeschooler!) The words used make a great jumping off point for bigger conversations about what our veterans have done for our country and why they chose to do so. You’ll also notice some pretty important symbolism used in these printables that kids may or may not already be aware of. For example, do you know what the poppies mean? Why are the veterans holding the American flag that way? 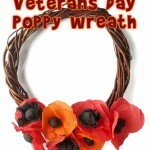 Finally, these activities can also spur kids to come up with their own ways to honor the veterans in their lives. A grandparent or family friend who served in the armed forces might just love one of these coloring pages done by your kiddo as a thank you for their service. Notice that we included various branches of the armed forces, providing an opportunity to talk about the different ways that the military goes about their jobs. By land, by sea, by air…and often through a combination of all of these!